Credit unions continue to be challenged by rising rates, thin net interest margins, and tricky pricing decisions. However, a well thought-out investment philosophy and disciplined investment strategy can assist your credit union in creating a portfolio that remains sound. This applies to a rising rate — or any rate — environment. Once the right strategy and framework are in place, making investment decisions becomes fairly independent of interest rate levels. ALM First, investment advisor to the Trust for Credit Unions Portfolios and trusted partner to more than 250 financial institutions, advises all of our credit union clients to focus on process, rather than simply considering various bonds, securities, or mutual funds to add to their portfolios. This steady approach makes sense in any rate environment. Be patient. Long-run institutional investing can be a little boring and routine — like watching paint dry. Have a sound, research-oriented, and well-defined investment philosophy. Don’t make investment decisions solely based on what you’re being shown by brokers. Brokers provide a necessary service but, in the end, they simply offer the ingredients to a recipe that has already been developed. A credit union’s investment portfolio serves an important role within the overall balance sheet management process. Regardless of the portfolio’s objective (primary liquidity, secondary liquidity, income, etc. ), the ultimate goal should be to maximize return per unit of risk taken. Over the years, investment managers can end up making hundreds of fairly routine decisions. That’s why it’s so important for a credit union to have a well-defined investment process and decision-making framework to help ensure the portfolio generates reasonable risk-adjusted returns. Institutional fixed-income portfolio management is best thought of as a “rinse and repeat” process, in which portfolio riskiness is increased when compensation for risk is high and vice versa. For example, if yield spreads and expected returns on corporate bonds or mortgage-backed securities (MBS) are low, portfolio weights and exposure to these assets would also be low. As spreads widen relative to U.S. Treasuries or interest-rate swap rates, exposure is increased. 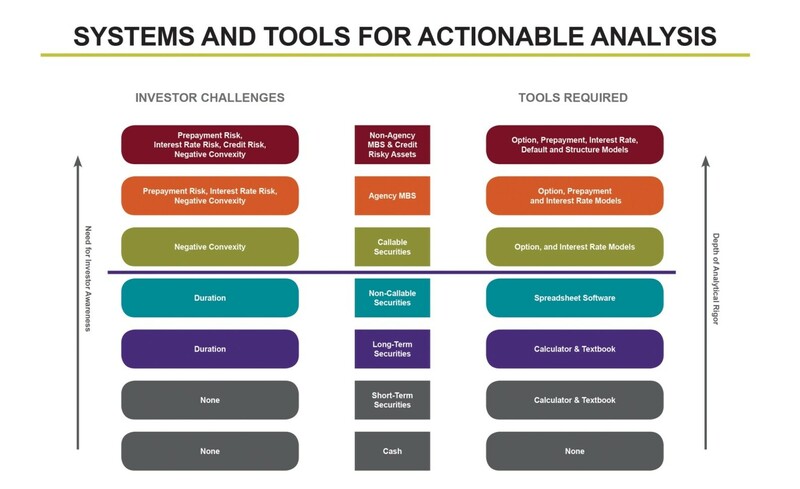 A data- and research-oriented framework, combined with sound trading-level analytical models, arms today’s successful fixed-income managers to address portfolio management in a very controlled manner. Individual security selection can be thought of as the raw materials for portfolio returns. And, as a best practice, consider relative value analysis using robust trading-level analysis in an option and credit-adjusted framework. 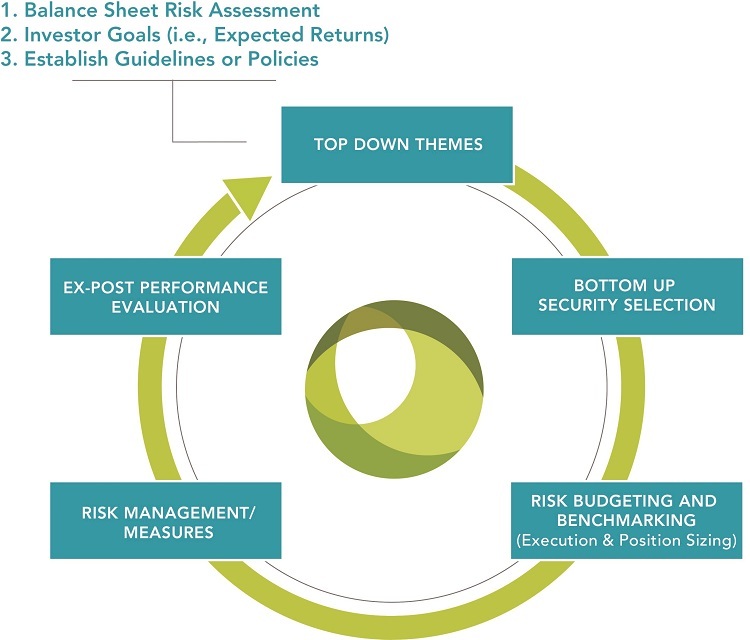 Exhibit 1 displays a portfolio management process that begins with an assessment of the overall balance-sheet risk profile. In particular, the securities portfolio should be managed within an ALM framework, which accounts for the balance sheet’s existing relationship between the asset and liability risk profiles. Arguably most important is interest-rate risk; managing the duration of the portfolio such that the duration of equity is either mitigated or targeted appropriately is very important. However, other considerations, such as liquidity risk, credit risk, and earnings needs, also come into play. Credit union investors don’t manage their investment portfolios in a vacuum, and the portfolio duration target should be developed in such a framework. Once portfolio objectives are established, it’s important to ensure the guidelines and policies allow for successful implementation of the strategy. If they aren’t aligned, the depository’s portfolio manager is limited in his or her ability to deliver long-term performance goals. Notice there’s no discussion here on the direction of rates or when the Fed is going to move. Interest rate forecasts, rate bets, and trades that are explicitly positioned for a specific interest rate change have no place in this process and often can cause portfolio managers to rue the day. Instead, portfolio performance comes from good, old-fashioned risk measurement and management, as well as sector and security selection. Exhibit 2 shows this graphically. The line in the sand is clearly drawn between option and credit-embedded assets and their other, simpler, cousins. It’s best to evaluate callable bonds using a lattice approach while, given the path-dependent nature of the prepayment option, MBS are better evaluated using Monte Carlo simulations. Interest rate and option models should price observe market instruments accurately and be arbitrage free, and prepayment models should exhibit a “best data fit” approach. Without these tools, investors are unable to properly evaluate market pricing of such assets. Of course, we can’t forget the popular phrases “model users beware” and “use models at own risk.” There are plenty of historical examples of financial models leading investors to their early demise. Models are only as good as the assumptions that go into them, requiring an investment in the human capital needed to properly manage robust analytical systems. So, proceed cautiously, understand the inputs and assumptions, and absolutely, positively be critical of outputs. That’s why feedback loops are such an important component of the overall investment process. Models can help us make decisions, but they are not the end-all, be-all. A growing number of credit unions are turning to experienced external advisors both for expert guidance and to outsource specialized functions like investment and balance sheet advisory. An institutional asset manager can provide the tools and resources (both systems and human capital) needed to build and maintain high-performing bond portfolios at a fraction of what it may cost to attain those resources internally. This is one of the reasons the Trust for Credit Unions Portfolios were created — to provide credit unions of all sizes with access to professional investment management. When seeking outside counsel on investing, financial depositories must understand how that advisor is compensated (e.g., fee-based or commission), and performance must be measured relative to the stated portfolio objectives. That said, a thoughtful and disciplined investment process should lead to more consistent and predictable earnings from the fixed-income portfolio. Robert Perry is Principal, ALM & Investment Strategy. Jason Haley is Managing Director, Investment Management Group. The Trust for Credit Unions (TCU) is a family of institutional mutual funds offered exclusively to credit unions. Callahan Financial Services is a wholly owned subsidiary of Callahan & Associates and is the distributor of the TCU mutual funds. ALM First Financial Advisors, LLC is the investment adviser of the TCU mutual funds. To obtain a prospectus that contains detailed fund information including investment policies, risk considerations, charges and expenses, call Callahan Financial Services, Inc. at 800-CFS-5678. Please read the prospectus carefully.